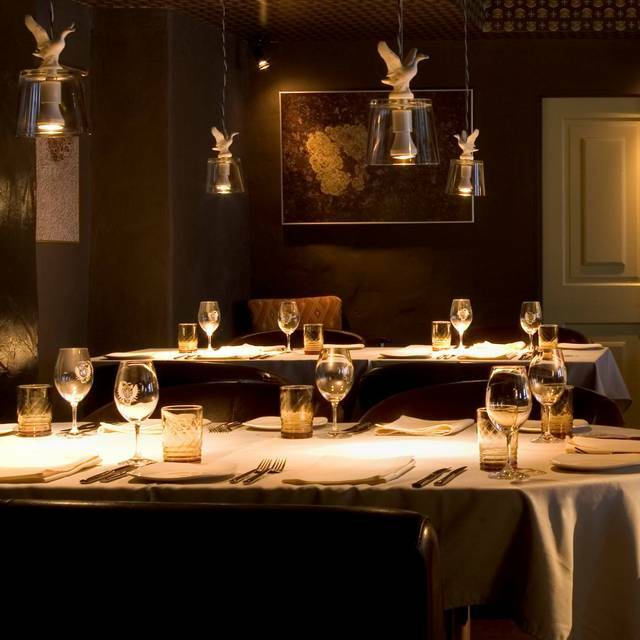 Since 2004 guests have been welcomed to Club Chasse et Pêche in an intimate decor for a memorable dining experience. Quite simply, exceptional customer service and fine dining await. La cuisine française à son meilleur! Service was superbe!!!!! !our main waiter was so engaging and funny. He made our night even more special. Also kudos to the waiter who brought our wine to the table. He immediately realized the wine was off without us having to tell him. A first for us. Very professional and very attentive staff. Ambience-Very cosy and it really did feel like you were in a "club"reminiscent of the past with modern touches as well. Food was quite innovative and mostly delicious but was served lukewarm. Since the wait staff was so brilliant we didn't tell them. Also not impressed with the scallop dish drizzled with a bit of a vanilla flavour. The sole veggie sushi style dish was not very exciting- quite bland. Not sure if they change it up. Our main entrees of duck and halibut were quite tasty but 3- 4 pieces of pasta on my plate(like a tasting menu portion) doesn't quite live up to fine dining we've experienced elsewhere. However, for a restaurant that is listed in this year's 100 best restaurants in Canada they could step it up a notch for the prices they charge based on our experience in having eaten good food in diners etc to 5 star fine dining restaurants. If Canada’s had Michelin star designations, this restaurant would have two stars for the food. Our meal was outstanding, and the service was the best that we experienced in Montreal. I would highly recommend Le Club Chasse et Peche to my friends visiting Montreal. A great meal, everything we had was really good. It wasn't too heavy, we left full but not uncomfortable. Would definitely go back if I'm in Montreal again. Absolutely amazing !!! The food was extraordinary. Everything tasted flavorful and fresh. I would recommend this restaurant to any one traveling to Montreal. An unexpected mediocre review of a highly anticipated restaurant. My husband & I dined here on a Saturday night ordering from the a la carte menu. Our shared foie gras appetizer was very good. My entree however was another matter. I ordered the ocean selection which was trout. The trout was cooked well but it came on a large mound of difficult to cut Swiss chard & kale which was not listed on the menu. Here is the menu item description "ocean delivery, smoked Yukon gold, girolles, walnut". I mentioned this to the waitress but she just shrugged her shoulder like it was nothing and said you don't like Swiss shard? I would not have ordered this entree if I had known a significant portion of Swiss chard was included. On the other hand my husband's halibut was very good. We left without ordering dessert. The service was somewhat inattentive & unimpressive especially the handling of my entree problem. I won't return. A super overall experience. We understand why they get such high marks. Every detail was perfectly executed. Amazing meal and excellent service - I wanted to order every single thing on the menu! Menu extraordinaire! Très recherché et succulent! Merci. It did not live up to our expectations and we wouldn't go back! The food lacked flavour and seasoning. The background music was not appropriate in our opinion and too loud and therefore intrusive. Relatively expensive for what it is. This is one of my favorite restaurants in Montreal. The food is outstanding, and worth every penny. The service is excellent. La pasamos muy bien, aunque el lugar es un poco oscuro y ambientado no moderno. The food is brilliant and the service is absolutely top notch. They made my dinner in Montreal memorable. The desserts are almost too beautiful to eat. We loved everything about this place. 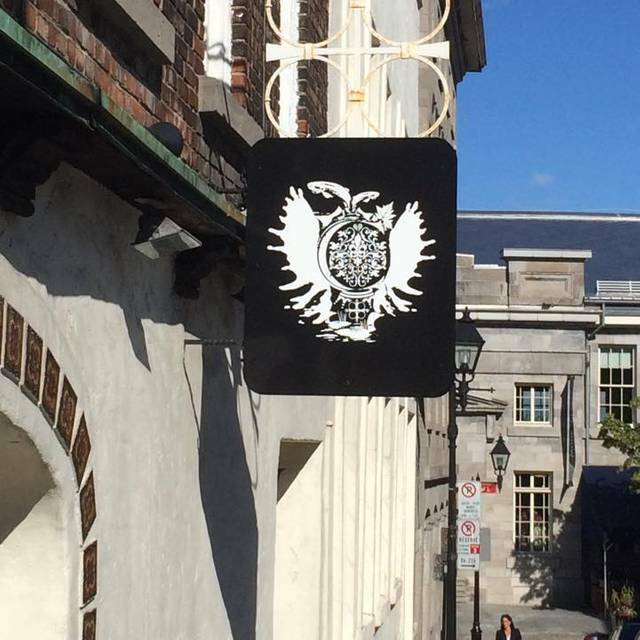 My wife and I visited Montreal on our honeymoon and heard great things about this restaurant. We enjoyed the excellent selection of wine and every course, and spent a memorable 3 hours indulging in our dinner and dessert. Highly recommend the chasse et peche and oysters in particular. The staff were exceptionally attentive and provided helpful suggestions throughout, even though the restaurant was packed. Should be on everyone's list when visiting the city. We had a great dining experience here. Wine was great and food was even better. Everyone in our party of four enjoyed their meal. They had a gluten free menu available when I requested it. Pricey but worth visiting! Personnel des plus chaleureux, service impeccable, parmi les meilleures tables du Québec, ce restaurant surpasse toute attente. Félicitations à toute l'équipe, en espérant que vous continuerez de nous faire partager votre passion pendant de nombreuses années. The food is delicate, but a little pricier for just a little portion, you need to order 2 mains to feed you up. Great atmosphere. Very exclusive feeling. Our waiter seemed ambivalent to us being there. Food was okay, duck was cooked a minute too long. 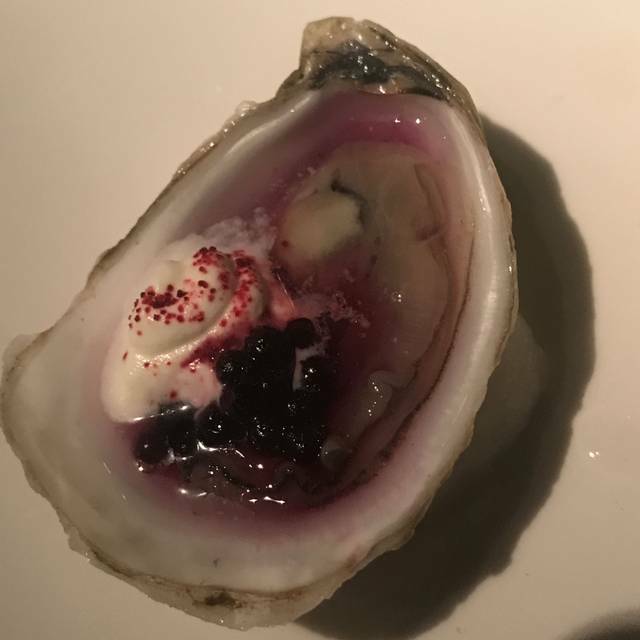 Smoked oyster with elderberry was the best oyster I have ever had. A truly magnificent culinary experience! From the exquisite tuna tartare and the grilled octopus for our starters, to the sumptuous halibut, salmon and pasta w/wagu beef, culminating in an explosion of flavors in the desserts, I highly recommend this restaurant. I was accompanied by my 10 year old daughter and my 15 year old son and they both marveled at the food and especially the service. Hands down, one of the best meals we have ever had! Be sure to make reservations in advance. We made ours from the States before our visit to Montreal. Une institution depuis maintenant 13 ans ! Plats succulents mais assez petits. La carte des vins est très fournie, de quoi remplir plusieurs pages. Service attentionné et cordial. One of our most favourite spots. Great service, food, and ambiance. We keep coming back and our never disappointed. Excellent food and efficient, gracious service. Great food, great wine, friendly and knowledgeable staff. We definitely plan to return. This meal was spectacular ! The staff was helpful and attentive but not overbearing . The food was fresh and delicious. I had tuna tartare which was very tasty . The lamb chops were perfectly cooked, juicy and tender. My husband had the risotto with porc which was not gloppy or heavy as some can be. The flavors were perfectly melded. His duck was also prepared beautifully. We were blown away by dinner . The food is great. Service is great. Quaint little spot. Wonderful place for a special celebration. This place was wonderful (once we found it, that is, but that was the fault of our bad Internet connection while abroad). The food was truly delicious, but the fantastic service is what made it our favorite dinner while in Montreal. The waiters worked together seamlessly to take orders, make recommendations when asked, replenish drinks, and remove empty dishes as soon as we no longer needed them. Get the scallops for sure, and the wagyu beef was divine! We took our waiter's suggestion on dessert and he didn't steer us wrong. Not a cheap meal, but they earned every cent. We love dining here and especially for special occasions. The service and ambiance are wonderful and the food is delicious and beautifully presented. Another plus is the amazing wine list . This is a very popular restaurant for tourists who stay in Old Montreal but lovers of good food and wine and those in the know in Montreal have been coming here for years. The effort and quality is so evident. Kudos to the team here. Until this visit, Le Club Chasse et Peche was one of my favorite restaurants in Montreal, having eaten there several times, having always been impressed by all aspects of the experience, and having recommended it to many visitors to Montreal who seek my suggestions as a native with a passion for both cooking and dining. On this occasion, the food did not disappoint, the atmosphere could benefit from a little renovation, but the impatience, arrogance and cheerlessness of the waiter so detracted from the experience that, in a city with so many wonderful restaurants, I will now recommend it with significant reservation and will not plan to return with my family and friends. Food and service was excellent. It made for a perfect evening. Very good food, expensive but definitely worth the cost. The wait staff were very professional and patient in explaining the various options for the meal. Food was absolutely delightful both in plating and taste. 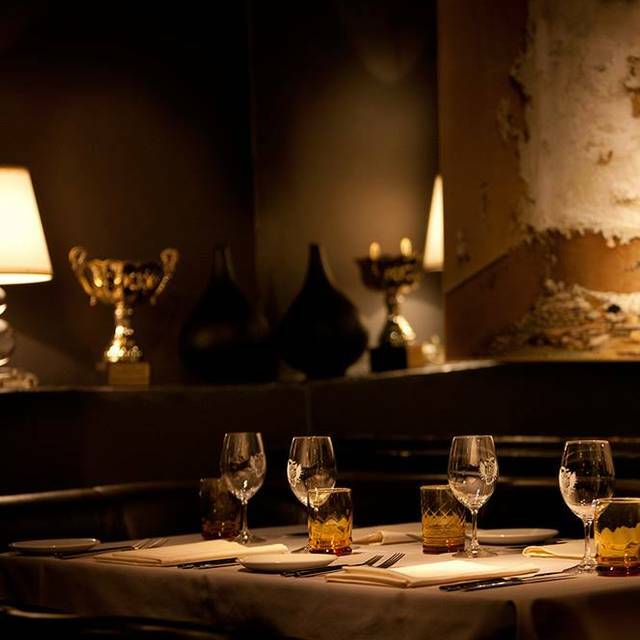 The food and the ambience in Le Club Chasse et Peche are both wonderful. I've had two wonderful meals there and both were spectacular. The wine list is extensive and the server knew it inside and out so she could suggest the perfect pairings for our meal selections. Highly recommend. 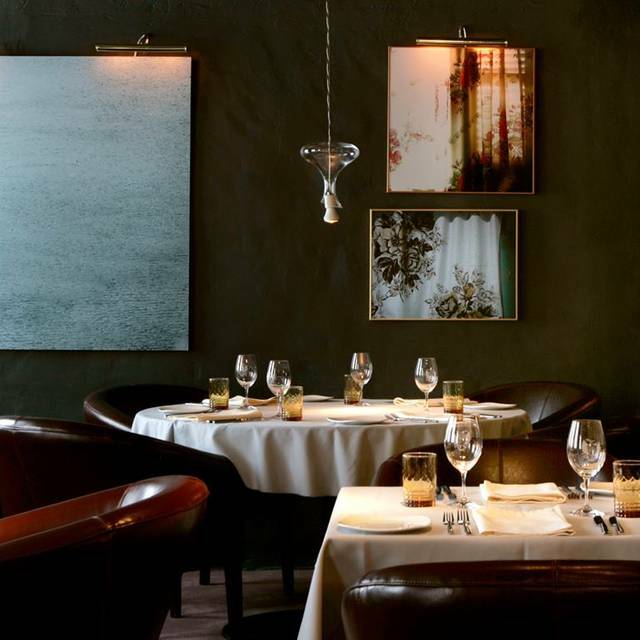 Le Club Chasse et Peche is refined but it's a comfortable elegance. 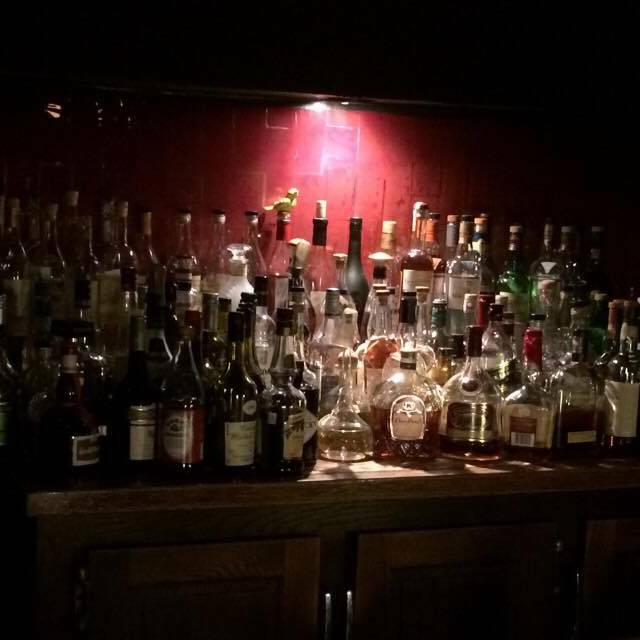 The staff are friendly and attentive, well versed in the menu and the extensive wine list. The menu is tight and well executed. They are happy to split portions so we were able to sample several of their creative offerings. It's exciting to find a restaurant where everything is so well executed and you can tell the staff love working there as well. Montreal has many great restaurants, but this one is a gem. Excellent food and service. One of the best restaurants in Montreal.